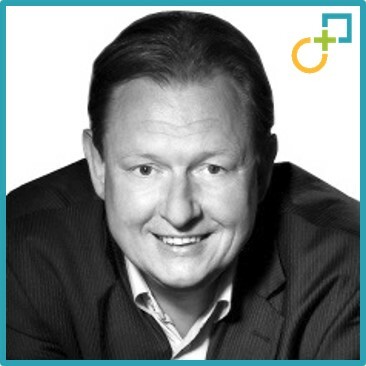 Frank Donkers is Associate Partner of Global PMI Partners, the only international network focused exclusively on delivering merger integration, separation and transformation services. As Market Intelligence Consultant Frank works for market-leading Industry Expert Platforms on Industrials & Energy Sectors servicing Private Equities, Corporates and the larger consultancy firms on pre- & post-merger acquisition opportunities. Frank was an Executive Director of ArcelorMittal Construction Europe, Kingspan Group and IKO Industries and represented several European alliances and trade associations facilitating added-value propositions to Brussels-based European political decision making process. Frank holds a Bachelor Degree in Business Economics at the Hogeschool West-Brabant. He graduated in Marketing (NIMA A& B), E-Marketing, Account Management, Business Development, Mergers & Acquisitions and Strategy Implementation. Frank has 25+ years of executive experience in the areas of value creation, sales and marketing, change management, R&D/ product development, P&L responsibility, Topline management, innovation implementation, digitalization, international restructuring, M&A due diligence participation, public affairs, risk- & crisismanagement and cross-divisional business unit management. As Chief Marketing Officer at ArcelorMittal Construction Europe, Frank led the R&D/ Product Development Division and the Commercial Business Optimization Team responsible for Strategic Pricing Management. The CMO re-built the Marketing Strategy around Innovation & IP, Creative Destruction and Disruptive Technologies. Frank held MD and EU Market Development Director positions at Kingspan Group transforming the traditional business model into a diversified and differentiated value-creating proposition entering new market segments and sustainable business growth. As a pioneer Frank walked unconventional paths, delivered double digit EBITDA and positioned/ branded Kingspan as an Innovative and Premium Technology Leader. Frank was a board member of EU-ASE: innovative European businesses, policy makers, and energy efficiency campaigners. Frank met up with MEPs to promote energy efficiency as the smart, sensible and sustainable solution for European job growth and economic success. He has published several articles, presents seminars, conducts workshops and speaks at conferences. Frank speaks native Dutch, fluent English and German, and understands and reads French. Within ArcelorMittal Construction Frank worked at divisional level closely together with Automotive, Long Products, Distribution Services, Tubular and management of relevant Downstream Operations. Within Kingspan Group Frank worked at divisional level for the Insulation Boards, Insulated Panels, Access Floors, Environmental & Light+Air Divisions.